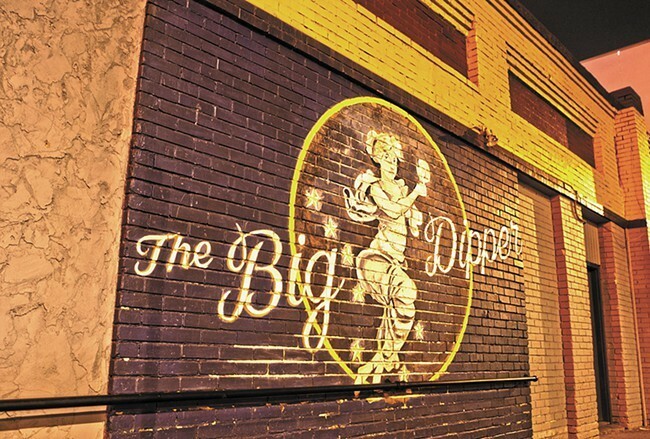 The Big Dipper has been open less than a year and already there’s a rift among management. Last night, former Big Dipper business partner Troy Brower posted a lengthy confessional on the business’s official Facebook page (which has since been replaced by this page), alleging he’d been scammed by Dan Hoerner, the venue’s co-founder and owner. Brower’s post (see the full text below) accused Hoerner, among many other accusations, of lying to him and his wife, Annie Brower, in that they were 50-50 partners in the venue’s business operations with Dan and his wife Dawson Hoerner. Brower also claims that the Spokane Police recently questioned him outside the business and wouldn’t let him inside the venue, and that the original business incorporation papers the two couples signed were never filed. According to documents on file with the Washington Secretary of State’s Corporations Division, filed on Nov. 3, 2013, The Big Dipper LLC is solely registered to Daniel Hoerner. This morning in a phone interview, Dawson said their business agreement was always an informal partnership, that only Dan Hoerner’s name is on the LLC and the building lease. However, in multiple interviews with the Inlander earlier this year, Hoerner stated that Troy and Annie Brower were co-owners of the business with the Hoerners. “How do you feel after a breakup?” she adds. “That’s what this feels like. There are two sides of this, both sides made mistakes. Part of me wants to defend myself, but we also want to do right by Troy and Annie and not go back and forth." She says shows will continue to run at the Dipper as planned, and that she hopes this won’t affect people coming out to the events held there. Big Dipper fans... This is Troy Brower. I am no longer the co-owner of The Big Dipper. I was led to believe i was and so were others. Many of you are great friends who came to this page when i opened The Big Dipper. We've made so many new friends as Annie and I worked away doing our daily duties to bring the fun. Many others put into the this shared spirit. We are huge music fans and it was a pleasure and loves labor. Tonight i found out i was scammed by my over 20 year friend Dan Hoerner. I invested my money, a year of hard days and late nights, thinking i was sharing in a Partnership of The Big Dipper LLC. 50/50. We were a member managed family affair. The tension increased as Dans controlling insistence grew throughout the last year. His self claimed "managing member" seemed uncomfortable, yet i trusted him. Whatever, "i can take titles also", i thought. Some of us were bringing different skills and desires to the effort. His anger and stealthy lash outs increased, increasingly directed towards Annie, became near unbearable. She maintained for me and The Dipper. He carried on a manipulative two faced fluffing of my close friends. People gave to The Big Dipper. This well woven play caused crazy amounts of stress and worry. I was mocked and ridiculed by Dan and it would peak with retaliation when i asked about the financial information for The Big Dipper LLC. How much did we make a night? What were the alcohol sales? How much did the band make? What about my taxes? We want to book this band? Burlesque is cool! Communication waned to silence and avoidance. Team Troy and Annie uniting with Dan and Dawson. It was a well crafted fraud committed upon me and others. A feat of Trickery worthy of the finest stage. So good as to win the whole sky. Something Dan just couldn't bare to confess laid bare. After weeks of emotional torture and near arrest for the second night in three days. Im burned and out. I did make it by a threatened stabbing from a knife Dan had positioned upon the Taps in case i went "crazy". That was my friend, i'm glad to be gone. Dan you crafted your game and won... Sure i was naive and a little gullible but...others can remain culpable but i say divest in Dan and f—- off. From a web of lies and plain usury my now free heart is softened. My experience grows. Time for some rest and solitude. The Inlander reached out to Brower for further comment and clarification regarding the above post, but as of this writing he had not returned our request. Hey, it's National Voter Registration Day!